For those of us that know Zeljka, we know she is, among many other wonderful things, the hostess with the mostest! When I arrived at William & Zeljka’s mod NW pearl condo, Zeljka made me a fresh pot of french-press coffee and was apologizing for not having made me a cake. Really!?! I will have to give her a hard time about that one for awhile. Ha! This absolutely stunning MA-BOD should have a cape to go with every outfit in her closet; for she gives true meaning to the term supermom! Since I have known Zeljka, she is always busy with something….giving her adorable daughter Helena (2 1/2) memorable experiences (and the best little girl’s room EVER), organizing fundraisers, planning baby showers and parties, promoting small businesses (including mine), and sharing information about things to do in Portland, people to see, or events to attend (just to name a few things) and all the while extending the most amazing grace, warmth, and generosity. These days she is busy planning for baby number 2 and I feel so blessed to be a part of the journey. Thank you to all of the thoughtful friends who gifted Zeljka this special gift of *Baby’s First Year* photography with me. 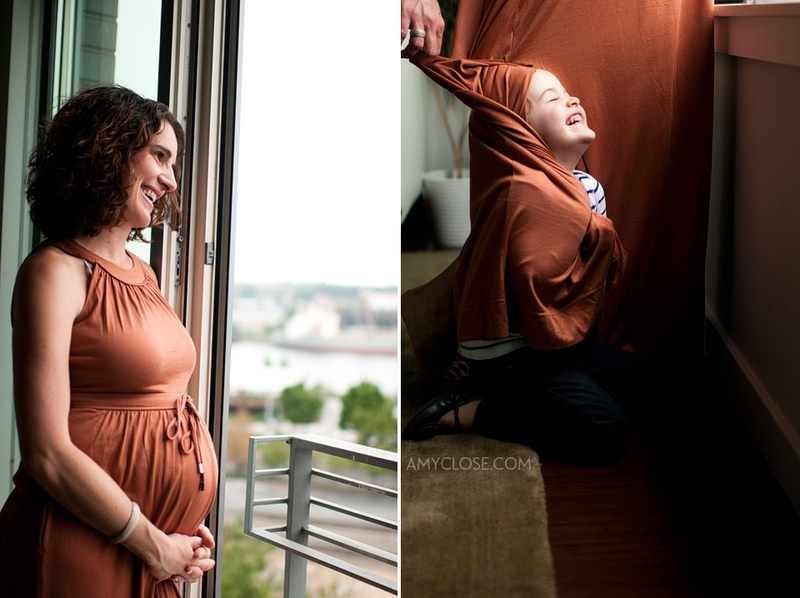 I am so excited to capture these precious milestones and share them with you as they unfold. I hope you will enjoy. side note for any White Collar fans out there: doesn’t William bare a strong resemblance to Neil Caffrey?! Couldn’t resist Helena in her super cool, super tiny bedroom. It’s so cute and fun, a child’s dream come true! What a beautiful family!! Love all your pictures! these made me cry. a beautiful family captured so well. miss you all. great job, Amy!